I spend most of my commute home thinking about food. It’s no joke. 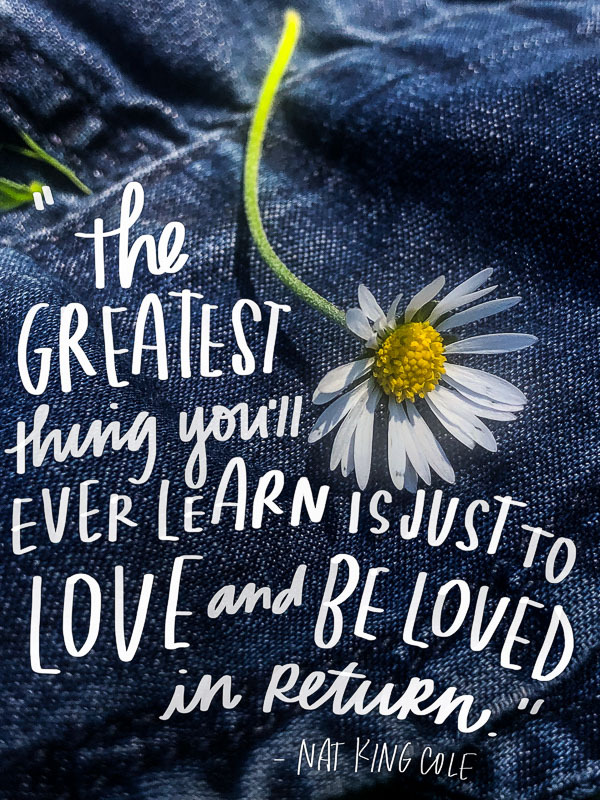 I try to remember everything I have in our pantry & fridge and make up recipes in my head while I’m cruising down the freeway. During tonight’s commute, I thought I’d make more Kale Chips since I had 2 bunches of kale in the fridge but quickly abandoned that idea because Casey wouldn’t be happy eating kale chips for dinner. Me? I could do it. No problem. 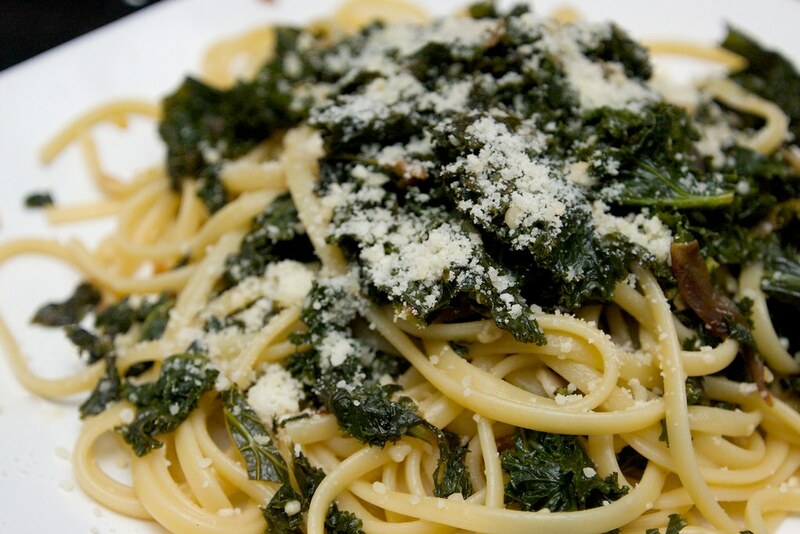 Then I thought about making the Spaghetti with Braised Kale recipe I saw in Bon Appetit recently. 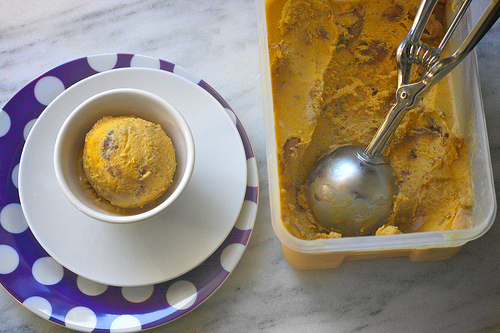 The sheer simplicity of the recipe made that idea the winner. It is a Monday night after all. The last thing I wanna do is spend hours in the kitchen. A half hour after I got home, a very satisfying dinner was served. 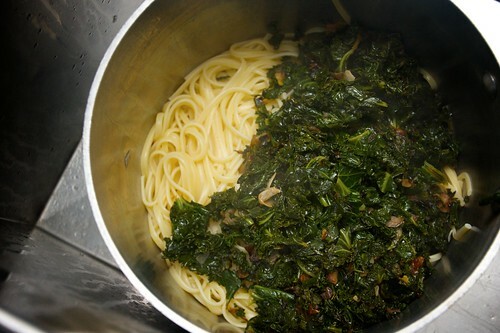 I could have eaten the entire pot of braised kale on its own without the pasta. 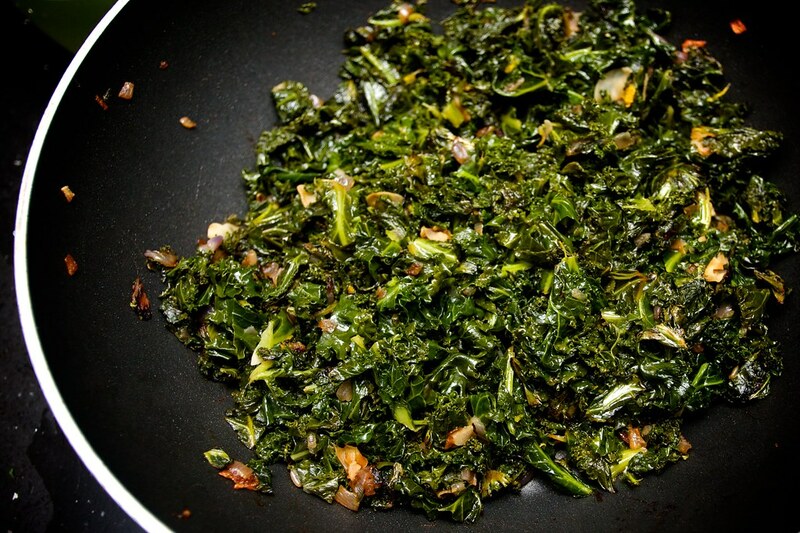 The marriage of the lemon, tender kale and garlic was superb! Casey really enjoyed this dish too, but wished there was less kale and more pasta. He LOVES pasta. I LOVE kale. So I was delighted when there was extra kale waiting for me in the pot after I plated our dinner. Next time I make this recipe I’ll be sure to take most of his kale and transfer it directly to my mouth. I might also add some red pepper flakes to spice it up or top our pasta mounds with some aged balsamic vinegar for a sweet tang. It would be lovely with a fried egg on top too! 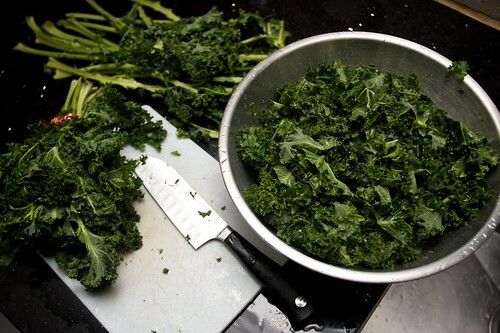 Start with your kale prep. Take the leaves off the stalks and chop them up. 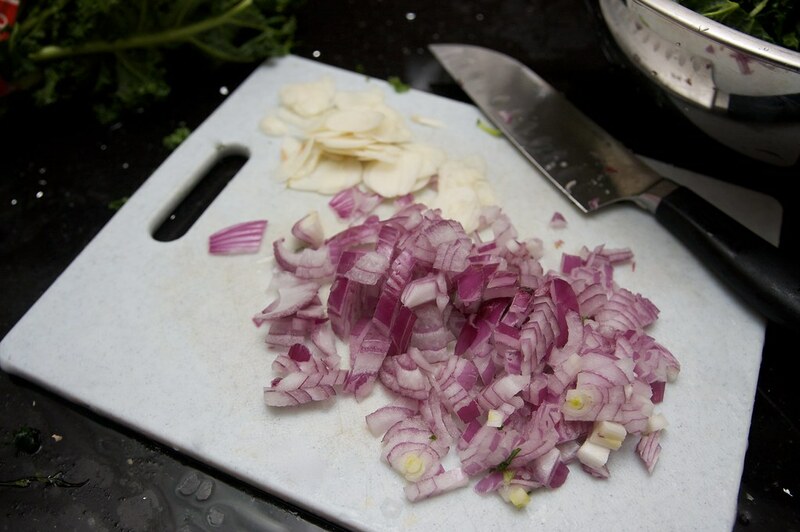 Chop up the onion and thinly slice the garlic. 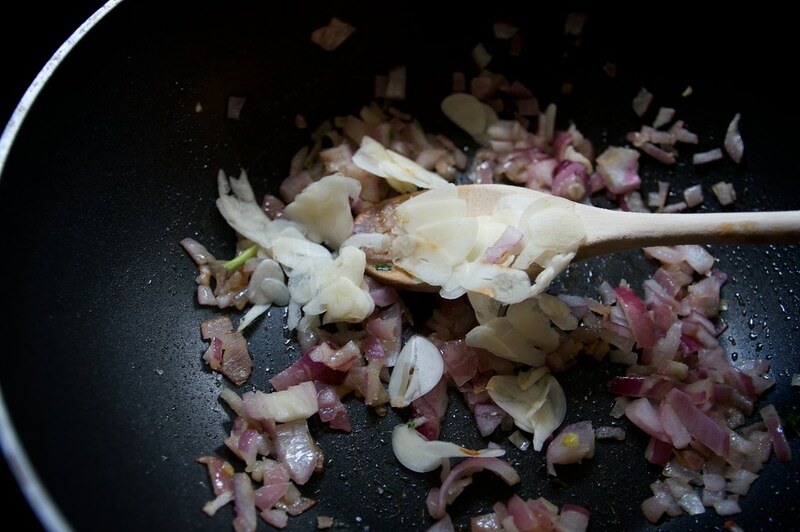 Saute the onion in olive oil until translucent and then add the garlic. Cook for a bit. 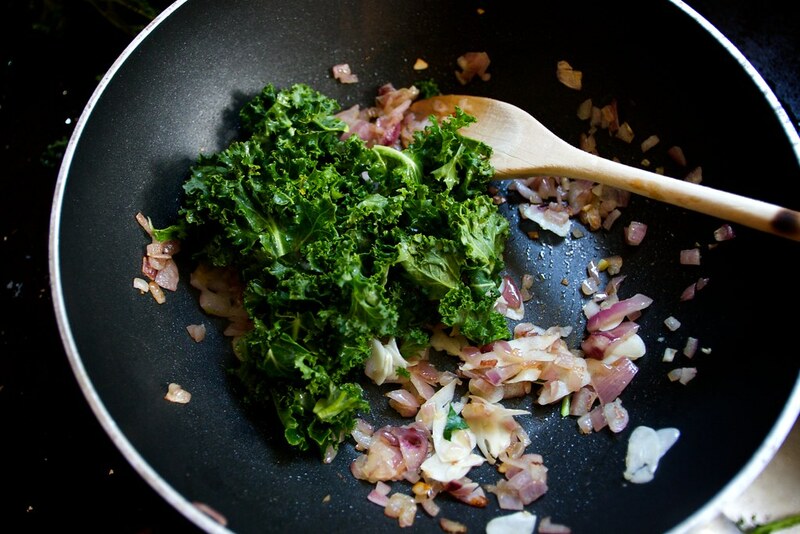 Now add your kale to the pan. Add the lemon zest to the kale. 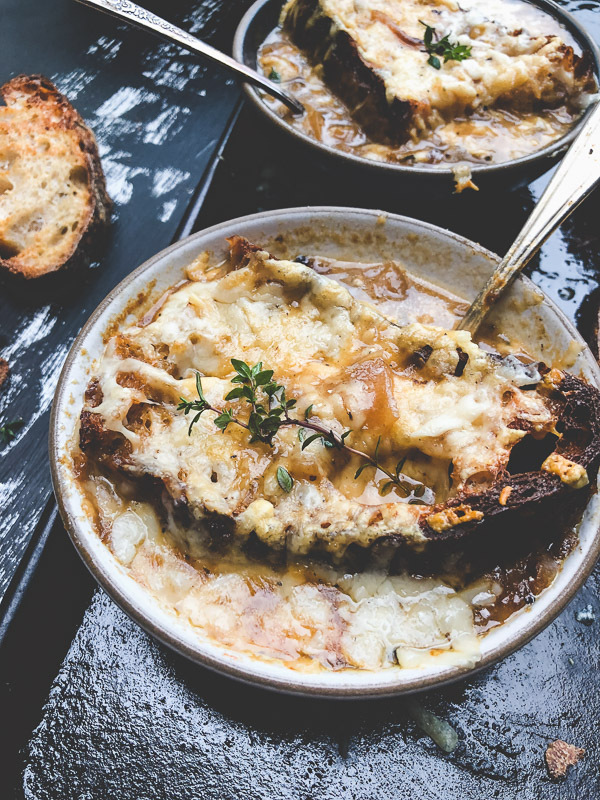 Put the lid on and let it braise. Now start cooking your pasta. Look! Your kale is done. Take a taste. It’s good huh? Stop eating it! Your not going to have anything left!! Quick! Add it to the pasta! 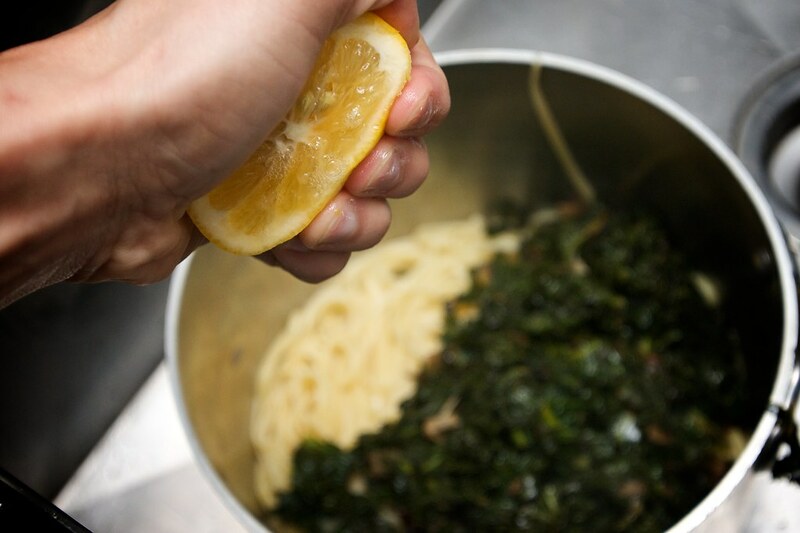 Squeeze the lemon into the pot and add the reserved pasta water to lubricate the noodles. 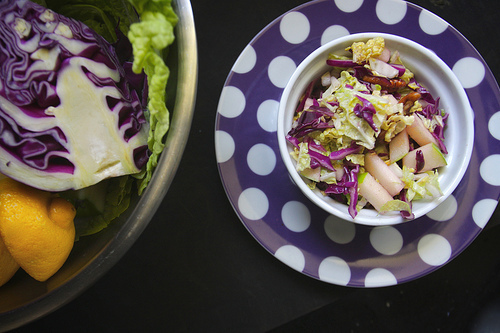 Now add a HEALTHY dose of Parmesan & get ready to plate! Heat 2 tablespoons olive oil in heavy large pot over medium heat. Add chopped onion and cook until soft and translucent, stirring occasionally, about 6 minutes. Add sliced garlic and sprinkle with salt; cook until onion is golden brown, stirring occasionally, about 5 minutes. Add kale and remaining 1 tablespoon olive oil and toss until wilted, about 3 minutes. Add the lemon zest and cover pot. Reduce heat to medium-low. 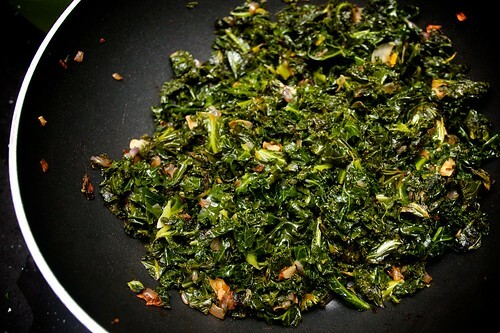 Continue cooking until kale is very tender, stirring occasionally and adding water by teaspoonfuls if dry, about 20 minutes. Meanwhile, cook spaghetti in medium pot of boiling salted water until tender but still firm to bite, stirring occasionally. Drain, reserving 1/4 cup cooking liquid. Add cooked spaghetti to kale mixture in pot. Add lemon juice and 2 tablespoons reserved cooking liquid; toss to combine, adding more liquid by tablespoonfuls if dry. 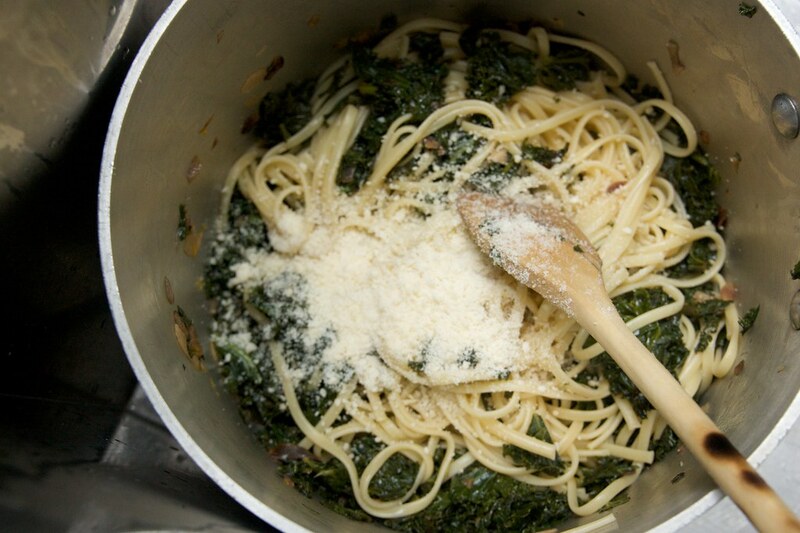 Sprinkle spaghetti with grated Parmesan cheese and serve! Great job Tracy! That looks fantastic! 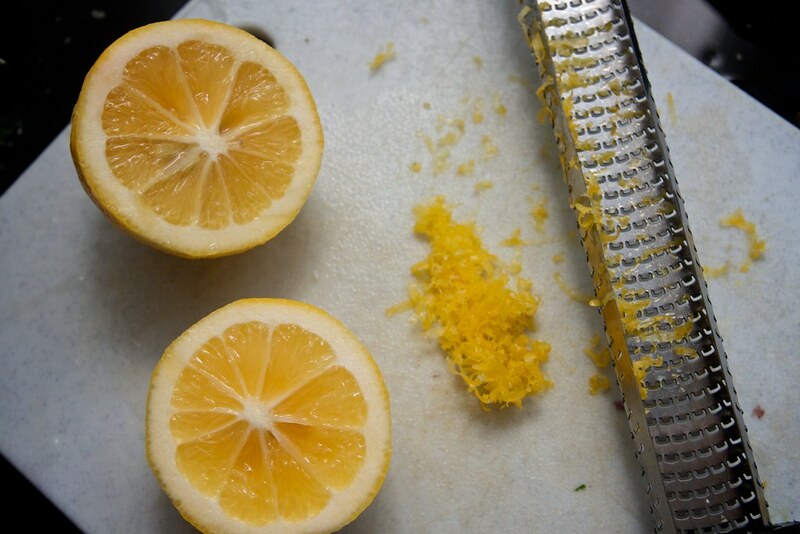 I love the use of bright fresh lemon with pasta. I can’t wait to try this. thanks rose! I love lemon on pasta too! It’s a nice little condiment. This looks great! I am starting to like kale more, especially after making your kale chips. 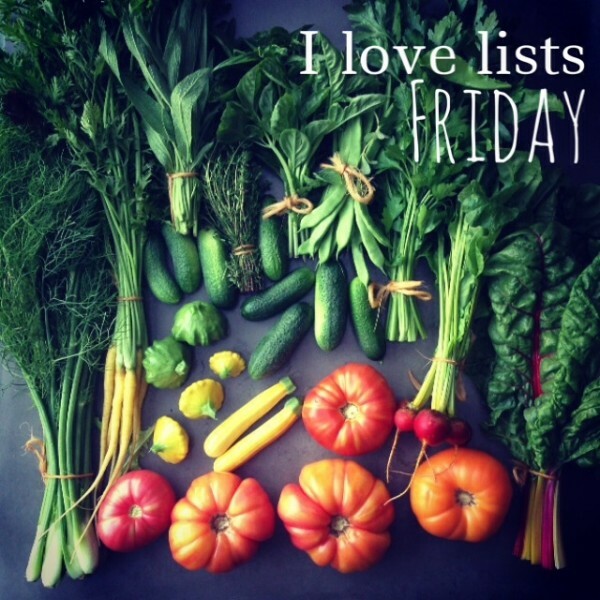 Love the fried egg idea, too! I am so envious as we can’t get kale at where we are!!! I’ve never ever tasted kale! Wow that looks like heaven. I am a little hesitant about kale, but I think I could really do this. Mmm. I wish I had had this idea when our CSA was giving us kale every week. I love the stuff but started getting sick of it. Now I wish I had more. i am gonna give kale a little break for a week or so. we’ve been going overboard here! YUM. 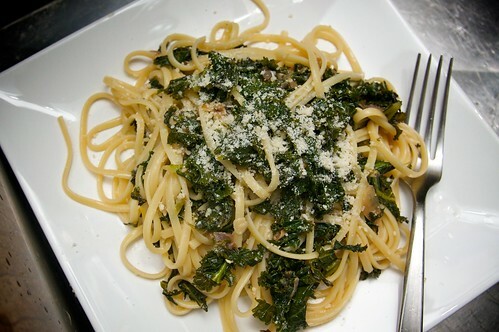 I make a pasta with spicy ground turky and kale that I think you would LOVE. 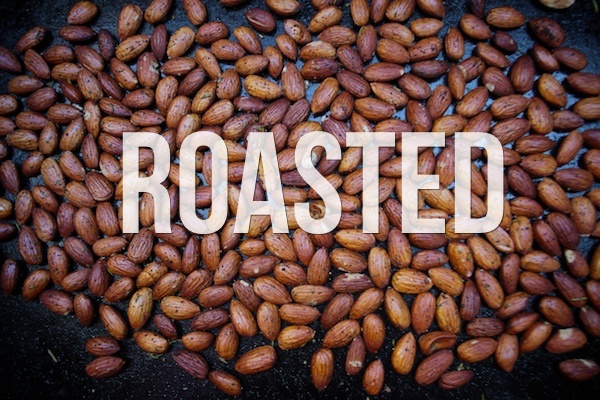 It’s a staple around here–usually makes an appearance once a week. 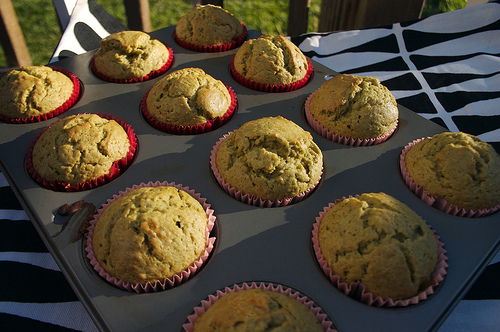 Let me know if you’d like the recipe and I’ll pass it along! Oh how delish! I would love to try this for sure and we recently discovered our favorite noodles to use – Kamut Khorasan Wheat pasta. It is a healthy and ancient grain and the noodles texture was perfect. I think my family will love this one thanks. Ooh! I must try those noodles. Thanks for the tip. My hubby even liked it and getting him to like a meal with no meat in it is an accomplishment! I made this last night with some tomatoes, and finished it for lunch today. It was SOOOO good!!!! I’m pretty sure I reek of garlic, but it’s worth it.